If Riley Smith thought her life was good before, it's changed in more ways than one ever since she met and fell in love with Camden Rogers. It all started with a Kiss Cam during halftime at a basketball game they were sitting side by side at and now, Riley's sporting the ring that Cam gave her after he surprised her with a very public engagement. She should be on cloud nine, but old insecurities are creeping back into her psyche, making her question her new life and how deserving she is of everything. She loves Cam and she knows Cam loves her, but love doesn't solve all of life's problems, and when it comes to the doubts that linger in Riley's head, love could prove to be not quite enough to overcome them all. Cam would love nothing more than to swoop in and be the hero that saves the day, but he knows that this time around, Riley is going to have to be her own hero and hopefully, she'll come to believe that the happily-ever-after they're both headed towards is one she truly deserves. Learn more about Anie Michaels. 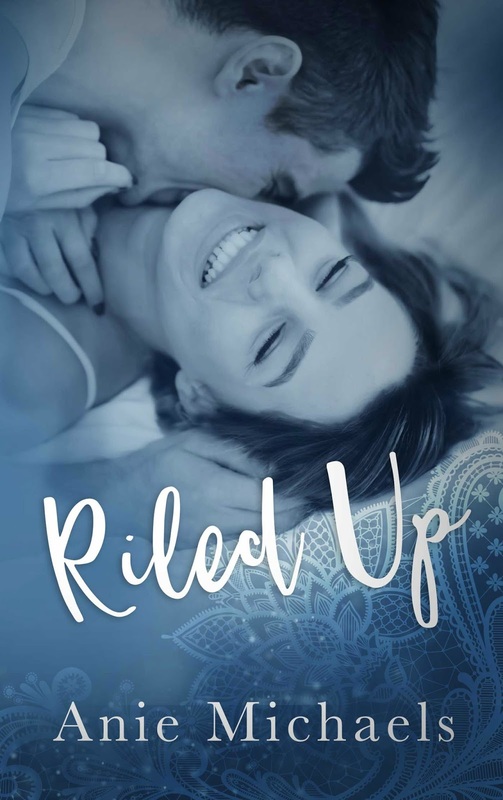 Purchase Riled Up on Amazon | B&N | iBooks | Kobo.